I have been to India once, when I backpacked northern India for 3 weeks, from Kolkata to Delhi . As an occasional yoga practitioner, I was told I should have gone to Rishikesh as well, but I never got the chance to do so. I’m glad, therefore, that Reshma Narasing, the blogger behind The Solo Globetrotter, has submitted this Rishikesh solo travel guide. 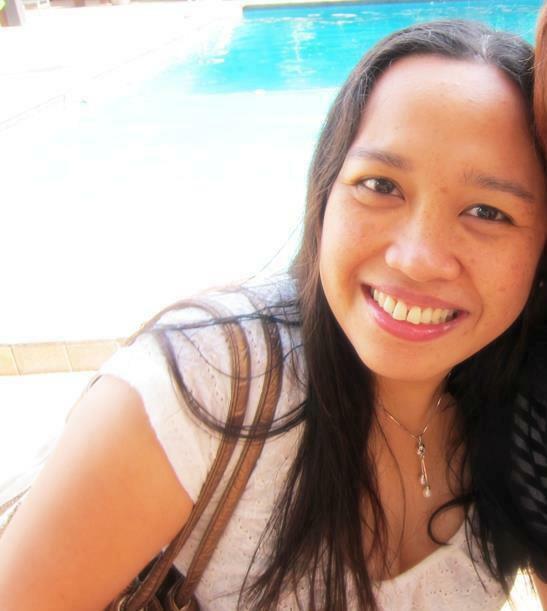 Reshma and I met in a hostel in Manila, so I welcomed her contribution very much! Rishikesh, located in the Himalayan state of Uttarakhand in India, is a well-rounded destination that has transitioned from being a quaint town for spiritual experiences to a bustling backpacker’s go-to place for adventure, hiking, and road tripping. Dubbed as the Yoga capital of the world, this beautiful town located on the banks of the river Ganga attracts more than just the enthusiasts looking for solace in the Himalayan Mountains. It is also a very popular destination for people traveling in India for the first time, as it is one of the cheapest cities to travel in India, and is safe for solo travelers, especially women. From adventurous activities like white water rafting to Yoga, Rishikesh is a town that treats its travelers well and offers them with diverse experiences, all in the midst of the Himalayas! 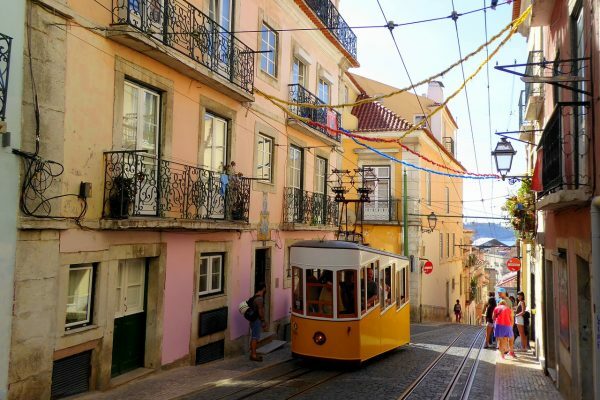 This is a great city for spiritual seekers. There are no flights to Rishikesh, so the ideal option to reach the town is by road. If you are arriving from the Indian capital of New Delhi, there are plenty of public and private bus services available for Rishikesh. You can go to the bus stand directly to procure tickets or book online on websites like redbus.in. However, if you are traveling during the peak season, it’s best to book in advance. The other option to reach Rishikesh is via Dehradun. 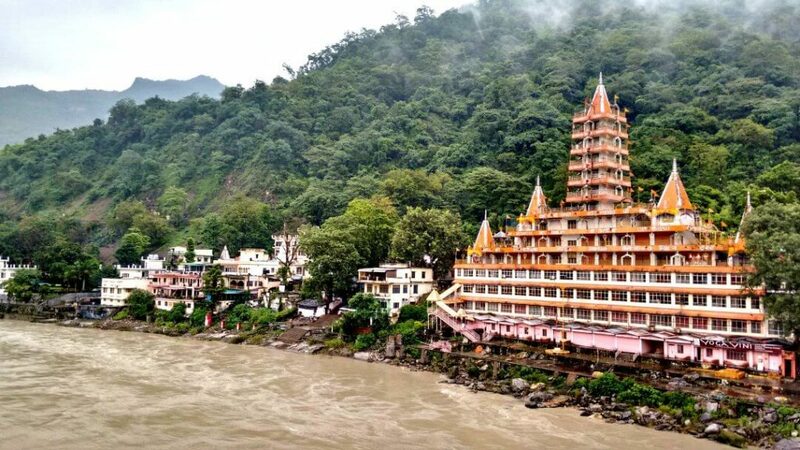 You can reach Dehradun from Delhi or any major cities by bus as it is well connected, and then take a cab to Rishikesh. There are trains from Delhi to Haridwar or Dehradun, which are the nearest stops before Rishikesh. From either of these places, you can take a cab to Rishikesh. Although it is perfectly safe to arrive this way, this might not be comfortable if you are traveling for the first time in India or are hesitant. 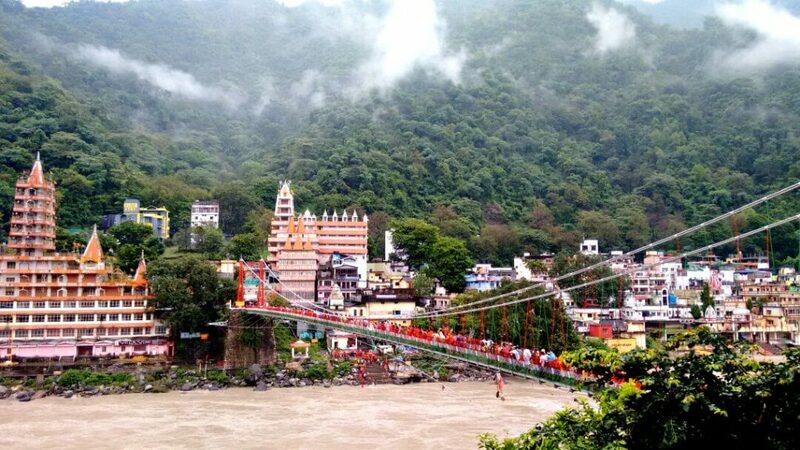 The most convenient and the expensive way to reach Rishikesh is to book a cab from Delhi or any major cities nearby. Be sure to negotiate well if you plan for a cab. The cab charges vary from 3500 INR (~$54) to 7000 INR (~$108) depending on the type of car, season, and your bargaining skills! 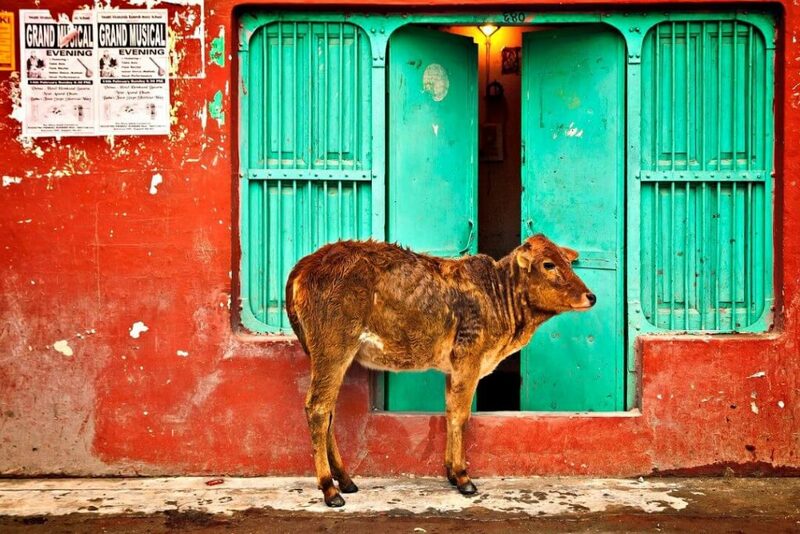 Plenty of accommodation options along the Ganges River. Rishikesh has plenty of accommodation options available, ranging from budget hostels to luxurious resorts by the banks of the Ganges. Zostel, Shiv Shakti Guest House, and Bonfire Hostels are some of the good budget accommodations that have both dorms and rooms. 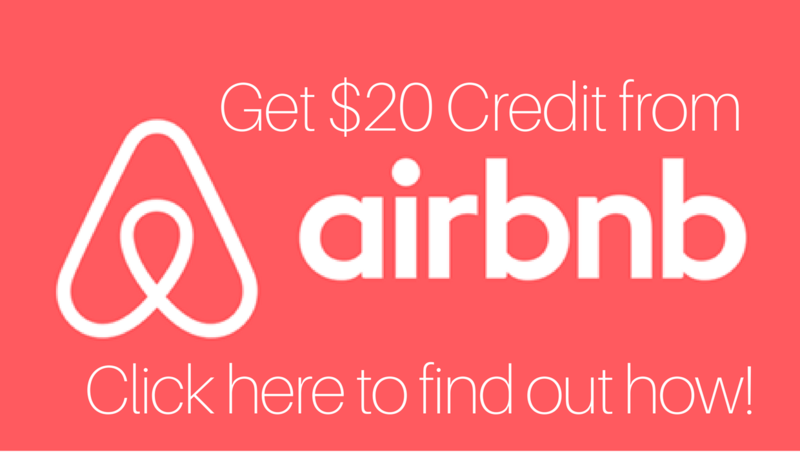 There are plenty of mid-budget and high-end hotels that can be booked online easily. Check out the many accommodation options in Rishikesh via Agoda. Tips: In general, the prices of the accommodation close to the river and the bridges Laxman and Ram Jhula are relatively expensive. Consider moving interior if you wish to save some money and still want to stay in a hotel. What to do in Rishikesh depends on how you want to experience this city. Based on that, these are the things to try in the city. Rishikesh is the most popular destination for adventurous activities including white water rafting, camping, bungee jumping, and giant swing. There are various rafting tours of different difficulty levels. Similarly, you can sign up for camping tours that some times are combined with rafting. Bungee jumping from over 83 meters amidst the mountains is a thrilling experience that leaves you wanting for more! Aside from these, Rishikesh is also the starting point for many of the treks in the Himalayas. If you feel like hiking, just walk into the number of travel companies in the town to check out for the treks happening in the season that you visit. If you are in Rishikesh between July and September, don’t miss the treks to the Valley of Flowers National Park and Hemkund Sahib, which is home to the most beautiful and rare species of flowers unique to this region. Rishikesh is known for yoga so do it when you’re there! Rishikesh is home to some of India’s greatest Yoga schools that offer Yoga classes based on your needs and the interest. Enroll in free Yoga classes that are conducted in a few temples and meditation centers from time to time. You can pick up Yoga as a new skill or experience it to attain peace through meditations and asanas. If you are a traveler wishing to experience Rishikesh with the eyes of an explorer, start with the iconic bridges Ram Jhula and Laxman Jhula. These connect the cities and are the heart of Rishikesh. Take a walk on these overlooking the Ganges meandering with vigor as the Himalayan Mountains adorn the backdrop. There are many Hindu temples for a cultural immersion tour. The Beatles Ashram, the wellness center once visited by this popular band, is a place to get away to find the bliss that these musicians experienced. Don’t miss to witness the spectacular Ganga Aarti by the banks of the river in the evening,as well. It is an event where priests gather to worship the river Goddess by lighting huge lamps. 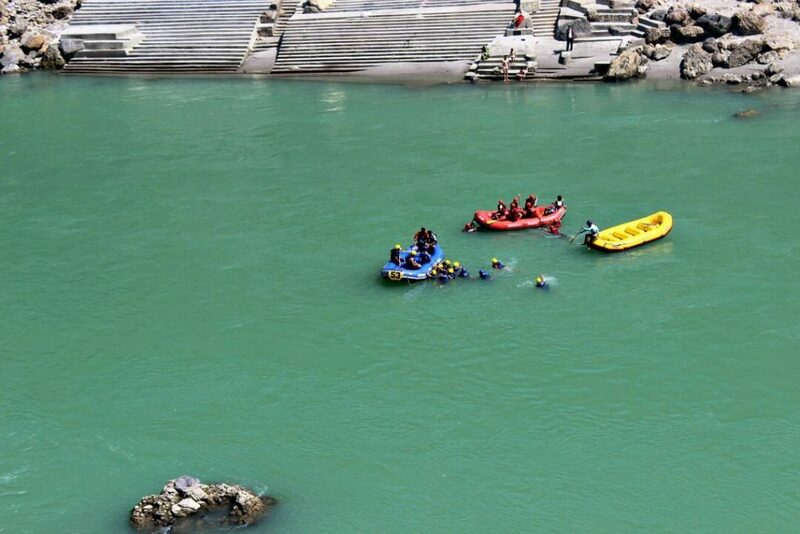 Try white water rafting when in Rishikesh. Owing to the diverse global travelers and a large portion of people enrolling for Yoga, Rishikesh is a totally safe place to travel for solo travelers. However, the general rules of travel for safety apply to Rishikesh as well. If you are walking alone at night, keep an eye on the people around you just to be safe. Rishikesh is a religious city to a majority of the Indians, and hence it is expected to dress modestly. This not only keeps you away from unwanted attention but also makes the locals receptive. A majority of the locals are happy to help and assist, but it is essential to be cautious just like anywhere else in the world! Overall, Rishikesh is one of the best places in India to travel solo. Be it the food or the adventure or simply the experience of being in the lap of the mountains of the Himalayas, Rishikesh will certainly make you fall in love with India. Have you been to Rishikesh? How did you like it? 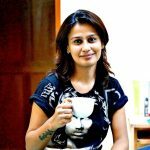 Reshma Narasing is a solo female traveler and a travel blogger/ travel writer from India. 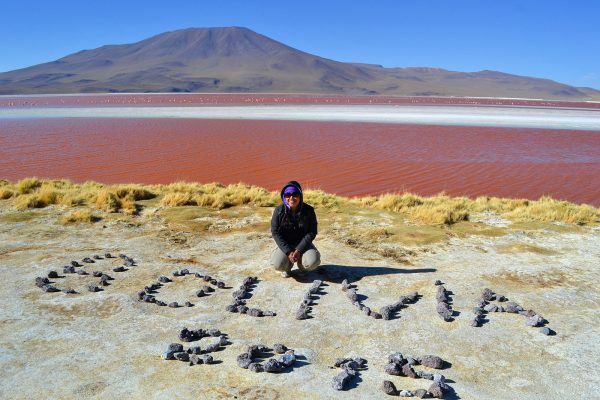 She is a backpacker who looks out for unique travel experiences by involving with the locals, getting to know the culture, and exploring offbeat destinations. She has extensively traveled solo in India and in Asia. 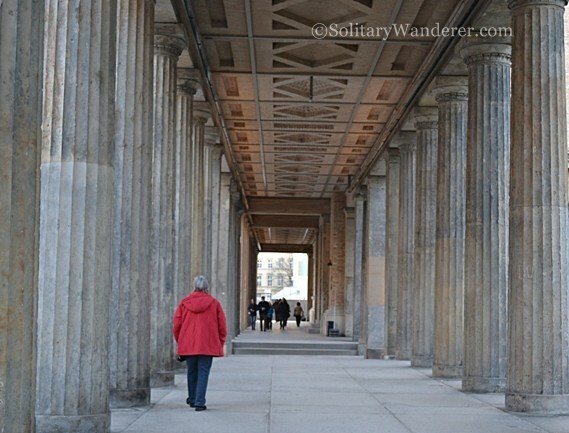 She shares her travel stories on her blog The Solo Globetrotter. Follow her on Facebook, Twitter, or Instagram. I would love to explore the magnificent India soon, Reshma. Rishikesh seems truly stunning and I have to add it to my bucket list after reading your post. Is India a good road trip destination? I love the look of Rishikesh Reshma. Beautiful, being by the water with surrounding nature. As for yoga I became a yoga nut about 3 months ago. 40 minutes of deep yin every morning. What a difference it has made for my mind and body and overall wellness. So yep, adding this charming little town to my travel list. When you have a chance to see a gorgeous place and do some fine yoga in the process, and yes, when cows are walking around all chill, ya gotta go. 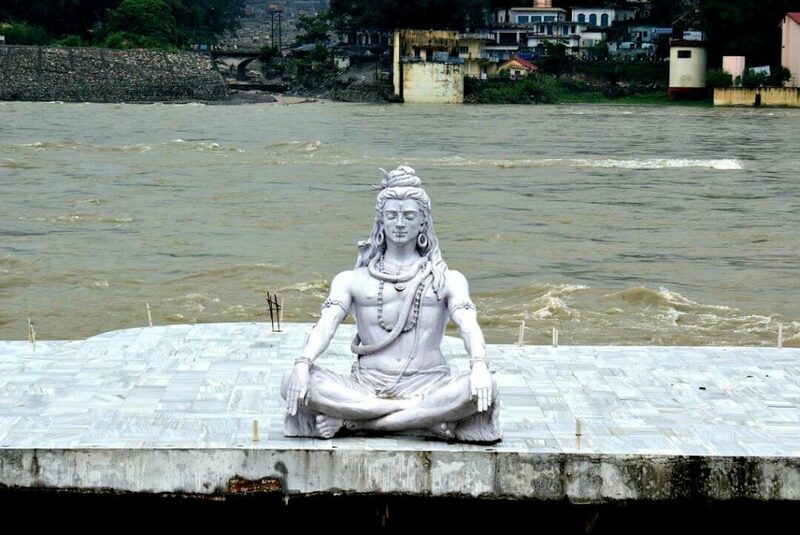 Must visit Rishikesh. Seems like a great base to explore the Himalayas. Your post was most enlightening. Thanks! Yup, Rishikesh is the starting point for many treks in the Himalayas. Rishikesh is one of the most beautiful city, I have been at Rishikesh 2 times my both trips of Rishikesh were outstanding. There are lot of thing those attract to peoples toward Rishikesh & I must say… here is different kind of peace which is very special. Wow! Glad to know that you enjoyed Rishikesh. Yup, the beauty of the town is special!